I was brought back to the days of practicing the basic tenets of MBSR. I urge the readers to read this article. Green’s experiences of those eight weeks exemplifies my own. Dealing with anxieties, pain, fatigue and a myriad of other daily challenges cannot be solved by medications and health care professionals alone. The responsibility rests with us. It is about learning to live our lives in a mindful way with self awareness and self compassion rather than catastrophic, anxiety and panic ridden struggles that plague us throughout the day. Once again I present my mantra: mindfulness meditation, movement, light exercise (yoga, or Chi Gong- among others), talk therapy, sensible food choices, and avoiding addictive mood altering drugs are among the many suggestions we can incorporate in our lives. MBSR programs help us with exploring and living with the emotions that are fraught with difficulties. 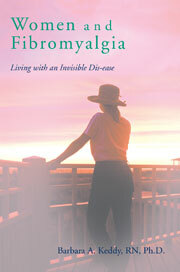 The practice is our main guide for carrying around with us a strategy for living with fibromyalgia.